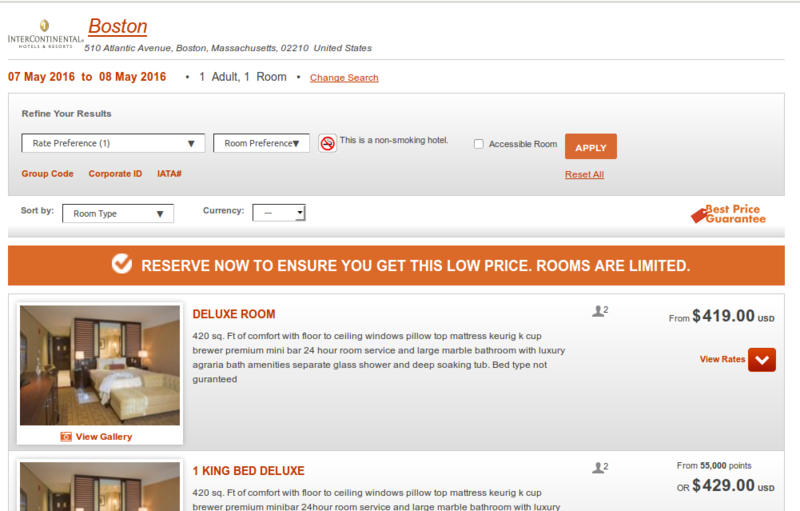 IHG's Best Price Guarantee - When they claim to not be able to find the rate? Discussion in 'IHG Rewards Club' started by Gagravarr, Mar 8, 2016. 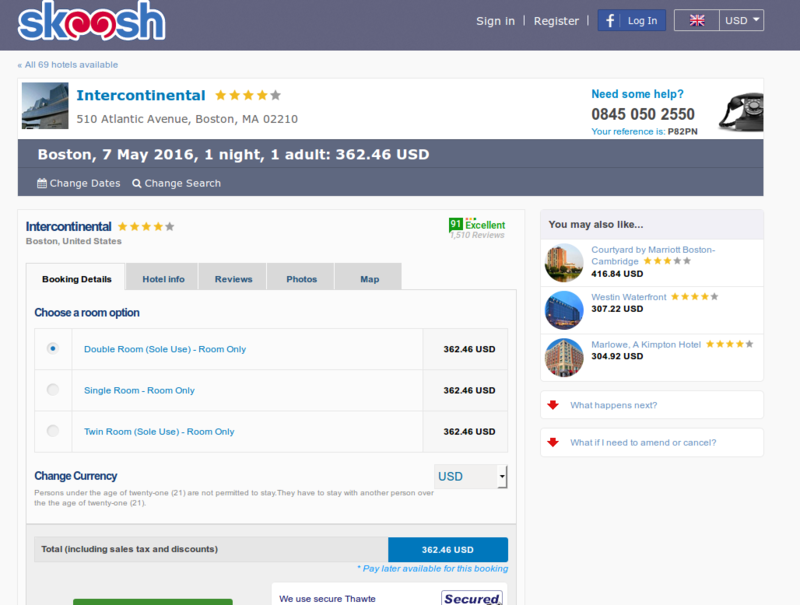 I'm currently needing a hotel in Boston for one night in 2 months time, an the InterContinental there looks nice. It's also available on a few sites for less than on the IHG site. Mostly on other sites which bill in GBP or EUR, which is a no-go for an IHG BPG. However, with a bit of hunting, I've found that Skoosh have it priced at the lower rate in USD. Now maybe we could debate if the base room on both is quite the same one (I believe it is despite the slightly different naming of double vs deluxe), or if the cancellation penalties are quite the same. In fact I was half expecting to, but no. Instead, they're claiming that Skoosh shows no availability! I've tried sending them an idiots guide of what to type where to get the price and availability up, tried sending them links, tried sending them screenshots of what they need to type where to reproduce the price, they continue to claim no availability, when clearly there is. I'm afraid I can't see it on Skoosh either, so they might actually be right for once unfortunately. I tried your link, skoosh.co.uk and skoosh.com directly - can you still see it? I stayed there last year and enjoyed it, so it's definitely worth persevering! Yeah it sometimes seems like they might be a bit naughty with some claims. There's so much I find irritating about IHG Customer Services, but between the bonus points, bpg policy, and the occasional inexplicably awesome upgrade, I always find myself back with them!